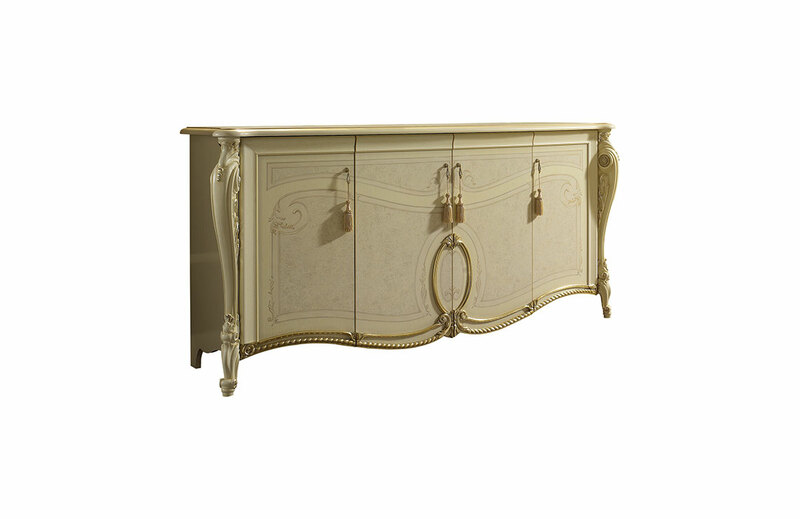 The Tiziano buffet adds the finishing touch to your dining room, enhancing your rooms with its sober elegance. Its simple structure recalls the elliptical motif decoration which characterises the entire collection and the lateral legs embellish the overall piece with their refined inlays and silver finishes. The mirror highlights the forms and amplifies the lightness at the base of the Tiziano creations.